Yes, that’s cute little me. 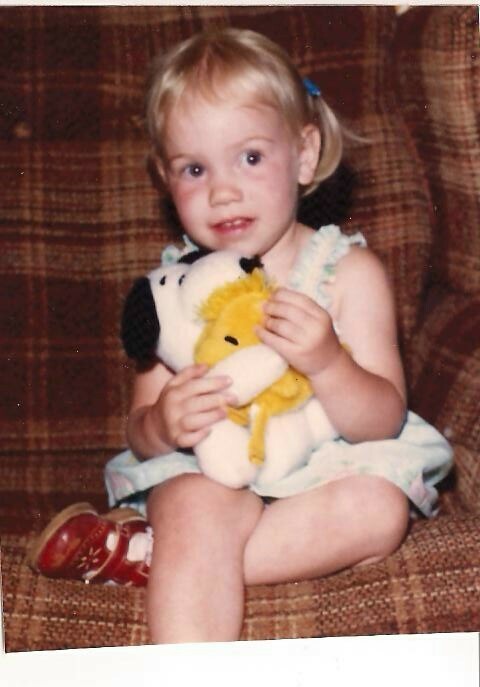 But if you’ve met my younger son, there could be a mix-up (minus the dress and pigtails). I’m celebrating my birthday. I’m thirty-one today. I love my birthday. I don’t mind one bit that my age now has a three in front of it. I feel braver, more confident, more satisfied than I ever have. I still love to dream of the future, imagine what I might be or do someday; but I’m no longer living each day for the future. I feel content to live now and content to keep on dreaming. My guys are cooking a delicious dinner for me. After dinner and cake, we’re headed to the park. I’ll finish the day with the novel that Hubby and my boys picked for me. Perfect. Happy Birthday! I’m glad you are loving your 30s. It’s nice to have a new blog buddy. Happy Birthday to you . . . may 31 bring you wonderful adventures, joys, deeper faith, authentic life, and many more words, posts, and poems.